The boat outboard motor has become far more complex over the years with modern motors moving from 2 stroke to 4 stroke. The amount of power you can achieve is highly dependent upon your budget but it is not all about the power it produces. The best small outboard motor is the Mercury 20 HP Electric Start which produces 20 horsepower from its 4 stroke motor and is backed by the highly reputable brand. In order to reach the highest speeds in your boat, you will need to match the correct sized outboard motor to the size of your boat. Many people will put an engine that is far too big for the boat, which is too heavy and make it far harder to get on the plane. The majority of brand new 2 stroke outboard motors are not available to purchase new unless they are used commercially. 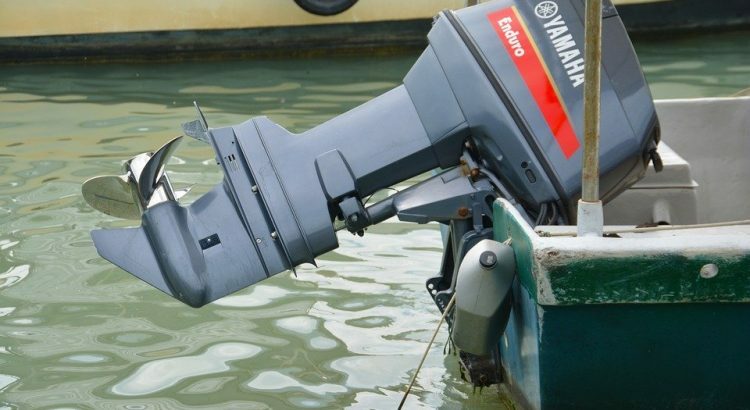 If you are looking for brand new small outboard motors, 99% of them will be 4 stroke due to emissions restrictions. The benefit of the 2 stroke outboard motor was that they have better throttle responses and are lighter compared to the 4 stroke. However, the combustion and weight issue is starting to improve with the latest batch of 4 stroke outboard motors. If you are after a small outboard motor for your boat, you have come to the right place. Below is a list of the best small outboard motors that range from 2 HP to 20 HP that are great for cruising or going flat out in the ocean. The Mercury outboard is regarded as one of the best but it does come with an expensive price tag. It is the ultimate portable package that develops low end torque to plane boats much easier than other alternatives. Many boat owners want the throttle response of the older 2 strokes and Mercury have managed to do this with this 20 HP outboard. With a tuned intake manifold, the acceleration is crisp with a fast throttle response. Overall, it is the best outboard motor that packs power but it is still portable. As this outboard motor is a Mercury product, you have peace of mind that its built to the highest of quality and the backing of a 3 year warranty. If you are looking for 20 horsepower without the price tag of the Mercury outboard, then the Parsun alternative is the a great option. It is a brand that is relatively new in the marine industry but it will certainly become popular in the future. The Parsun brand takes great pride in their tuning capabilities with the focus on performance and emissions. The main tuning feature is the advanced cross-flow induction that is used for smoothness on engine start and trolling as well as trolling. Overall, the Parsun small outboard motor offers great value for money for those wanting to upgrade from their lower powered outboard engines. The Wakrays is a 6 horsepower outboard with an economical and compact construction that weighs just 44 LBS. If you are looking at getting the “bang for your buck” in terms of power, the Wakrays outboard is a great option. It is a cost effective punchy outboard that would be perfect for small boats that require that little more power to battle wind speed and choppy waters. The Leadallway is a budget outboard motor for your boat that is easy to operate and perform regular maintenance. It is an air cooled outboard engine with 4 HP, which is perfect for cruising or fishing around the rivers. You are not going to win any races in the water with this motor but you will certainly have reliability. It is budget boating at its best and because its so light, you can easily attach it to an inflatable boat, which would add much more enjoyment than manually paddling. One of the most popular small outboard motors is the Coleman Powersports, which packs 2.6 horsepower. The small power output is perfect for simply cruising around on the water rather than outright speed. Although its more expensive than both the Leadallway and Wakrays, it does include more desirable features. It is a premium outboard with small power output but perfect for those looking for a small motor. Some of the best outboard motor brands are not mentioned within this article because they only produce high powered outboards. Some of these include Evinrude, Yamaha, Suzuki, Mariner and others. Most of these brands produce engines that produce triple figure power outputs. Mercury are the only premium brand that produce both low and high powered outboards but come with a hefty price tag that put off many beginner boat owners. It is not as simple as getting any outboard motor for your boat and hitching it onto the back. There are many factors you should consider that are mentioned below. The majority of inflatables will require a short shaft whereas fishing boats and yacht auxiliary motors use a long shaft. However, to be sure whether you need a long shaft or short shaft, you can do some measurements. You will need to measure the transom of your boat from the top to the bottom of the hull. 15/16 inches will be required for short shaft whereas 20/21 inches for long shaft. Do not mix and match long shaft and short shaft outboard motors. If you put a short shaft on a long transom, it may not even reach the water, meaning the flow of water, cooling and the performance will all be effected. The worst offender is when you put a long shaft on a short transom because the point of thrust is too low in the water and the bow of the craft could rear up and turn the boat over. Be sure to take the measurement and choose the correct shaft. Many come with different choices so you can choose before you buy if your heart is set on a certain outboard. The best benefit of small outboard motors over the large counterparts are that they can be carried easily. The majority of outboard motors from 2 HP to 10 HP weigh between 15 to 30 KG, which is certainly easy to lift and carry for most adults. Moving to 20 HP outboard motors that often weight between 40 to 50 KG in weight, which can still be carried if you are feeling strong enough. To match an outboard to a boats size, there are various factors to consider. Most experienced boaters claim that 5 horsepower per tonne is enough to get a good forward motion but many will want more power. Head wind and choppy waters are just two factors that require more power in order to overcome. 5 horsepower per tonne is more than enough to get you going at a good pace. The outboard motor power not only need to match the size of your boat but must be matched with a propeller to cut through the water. High quality propellers can vary in size and make a huge difference and help you get on the plane much quicker. To conclude, if it is high speed that you require, you will want plenty of power and you are better of looking at the higher power output outboards. Of course, keep within a reasonable sized outboard to the size of your boat. If you are looking for outboards to cruise around in or use within yachts or canal boats, anything from 5 to 40 horsepower is more than enough. Many boat owners will pay the extra for an electric start outboard for the convenience. However, this will be dependent upon your budget you have set aside for the outboard motor. Electric Start is highly desirable and saves the effort of a manual start each time you start your motor. If you are upgrading to a larger outboard engine, you will also need to upgrade to a more powerful marine battery with a high CCA rating. If you already have a manual outboard motor but want it to have electric start, it cannot be upgraded on the cheap. It may be a better option simply purchasing a new outboard with this feature before undergoing the work on your existing outboard motor. To achieve optimum speeds on the water, you will need to get the boat on the plane. The majority of boats will need to get over 8 MPH in order to get on the plane depending on the size and weight. If you have too heavy of an outboard motor, you will struggle to get on the plane unless you have some other passengers pushing weight at the front. The bigger the outboard, more often than not the more servicing it will require. For example, it may take much more 2 stroke oil or 4 stroke oil and all the rest that comes with servicing an outboard. If you are able to service an automotive engine, an outboard engine will be very much similar. Just remember, when you are running the engine that it has water going through the system to keep the heat down. Many people will only use their boats during the summer season and store them during winter. If this is the case, you will want to run the system through as above as well as clean the outside. Whilst its not in use, it is highly recommended that you cover up the outboard too. Many boat owners will have dedicated outboard motor covers but many universal boat covers may stretch to the full size of the boat including the outboard. If you are like myself, you will want as much power as the boat can handle before performance reaches its limit. However, this is the point, it is purely personal preference because many other boat owners will just want enough power to move around of the waters in order to cruise or go fishing. The best small outboard motors mentioned in this article are suited to all different types of boat owners. Just be sure to check other factors such as the length of the shaft and more. Great job! I’d like to see an article comparing the 4 stroke engines in the 2-4 HP range. All the major manufacturers have engines in this range and comparing them, including speed and range achieved on a specific small inflatable would be great.